Engineering is and has always been one of the most sought after professions by millions of Indian students. This is the reason why there always has been a need to increase the number of reputed engineering institutes where students can pursue their most-loved career option. The same has been the case for Punjab, a state considered the most prosperous among all the Indian states. Recently, Punjab has seen a rise of engineering colleges. The credit goes to the popularity of the subject of engineering among the students of Punjab, The Institutes of Technology (Amendment) Act of 2011, and the increasing demand of engineers in different fields by leading companies. Located in the North West of India, Punjab takes pride in some of the oldest institutes for engineering. For instance, Thapar University of Patiala is the preferred choice of millions. It was founded in 1956 by Karam Chand Thapar and it is considered one of the most prestigious engineering institutes in India. With an aim to impart global standard of education, Thapar University signed an agreement with Trinity College in 2014. 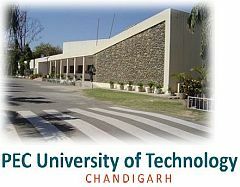 Another famous and oldest engineering institute of Punjab is Punjab Engineering College, which is now popularly known as PEC University of Technology. It was establishment in 1921 as Mugalpura Engineering College at Lahore. It is counted as one of the best technical colleges in the country. 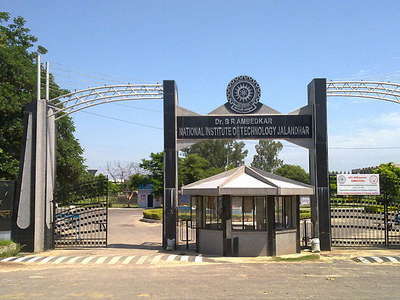 It offers electrical, mechanical, aeronautical, production, metallurgical, electronics and electrical communication, IT and computer science engineering. India has seen a dramatic rise in engineering colleges in Punjab. One of the most noticeable is the Indian Institute of Technology, Ropar. It is one of the eight newest IITs opened by the Government of India by the Ministry of Human Resource Development. They have different departments like Chemistry, Electrical engineering, Computer Science and Engineering, Mathematics, Physics and School of Mechanical, Materials & Energy Engineering. The institute offers bachelors, masters and PhD degree. Textile Technology, Electrical Engineering, and Information Technology. The engineering colleges of Punjab have a good result every year and their job placement is also outstanding. Some of the most reputed and looked upon companies come down to Punjab colleges to recruit employees. The colleges indulge in job placement workshops to prepare the students for the real life interviews. These institutes also value the importance of cultural activities in the overall development of their students and hence they keep hosting such events.